Designed to help those suffering from ringing in the ears, the Neuromonics Tinnitus Alleviator™ will work on iOS 9-enabled devices, and uses a proven, effective treatment protocol. Users will listen to spectrally modified music designed to retrain the brain to ignore the ringing sounds and stop reacting negatively to them. Consumers can obtain the Neuromonics Tinnitus Alleviator at the Apple App Store. Upon downloading, the consumer will receive a seven-day free trial. After that period, subscriptions are available for purchase: $.99/day; $5.99/week; $24.99/month; $69.99/three months; $149.99/six months; and $249/year. Users will be able to customize the music to their hearing, and raise and lower the imbedded neural stimulus. More than 50 million people in the United States suffer from the sound of ringing in the ears, when no external sounds are present. Usually brought on by exposure to loud noise, the problem is especially significant in the military, with more than 34 percent of returning veterans from Iraq and Afghanistan suffering from the condition. 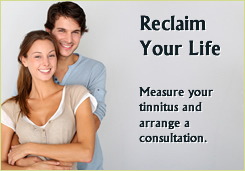 For many sufferers, the ringing noise causes fatigue, depression, anxiety, and problems with memory and concentration. Based in Westminster, Colo., Neuromonics, Inc., manufactures and distributes clinically proven medical devices to treat tinnitus. The patented and clinically proven Neuromonics Oasis™ provides long-term treatment and significant relief for those with severe tinnitus. The Haven, with the ability to program and individualize hearing profiles, is a management tool offering situational relief for tinnitus symptoms. The Sanctuary, also a management tool, works with pre-programmed profiles for on-demand relief. With research and development beginning in the early 1990s, Neuromonics has helped thousands of tinnitus sufferers improve their quality of life and overcome the daily life challenges associated with tinnitus. Today, Neuromonics provides its devices to nearly 2,000 hearing professionals on four continents, through direct relationships and reseller partners. Neuromonics news includes segments on national media including “The Doctors” and CNN. Read the news release on PRWeb.